Suited To The Seasons: Crazy!!! Ok, how does this happen....Ouch! 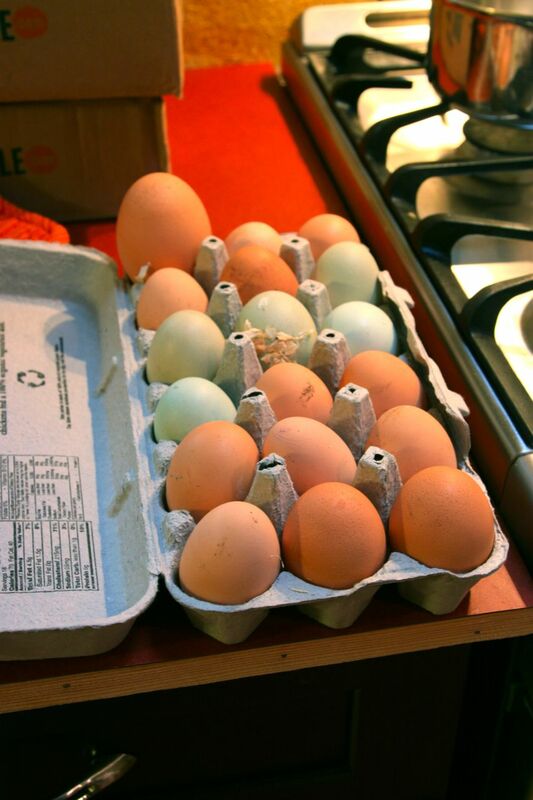 Does the big one have more than one yolk, or did it come from a brown goose? 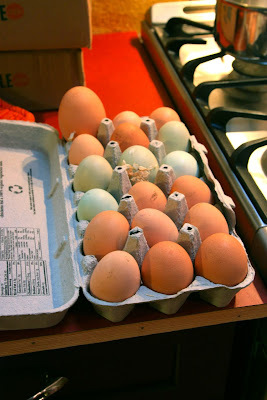 It's a chicken egg and I'll let you know how many yolks it has when I crack it open! Our large egg had two yolks! Growing food has always been intriguing to me. Nurturing my gardens brings a smile to my face, joy to my soul, and food and flowers to my table. The “Ladies” give me delicious eggs and are a continuing source of entertainment. I live in the Seattle area, which has a Maritime climate with it's own unique growing advantages and challenges. I am a biologist by education, was a kayak manufacturer for many years and am currently exploring the culinary world.